We are dedicated to providing quality, individualized, instruction customized to your child's needs. Students use the knowledge, confidence, and concepts to become successful in their classes. Our highly-qualified tutors help build your children’s confidence using our unique method of presentation, sharing ideas, discussion as well as thinking outside-the-box. We will be teaching Arabic differently, giving focus to the reading, writing proficiently but also etiquette of speaking and the vocational side of the Arabic language. Registration starts the first ten days, every month. The main issues with centers nowadays are over-crowding, teachers to students ratios are disproportionate, quality of content is not there. Leveraging of proven systems and technology are also lacking. iLearnCenters.com offers parents the flexibility to allow their children the chance to advance their current levels in a fluid environment that is unconstrained. We do not want to box in children while offering them the opportunity to learn in a comfortable setting. Parents will again be the forerunners in their children's education. iLearnCenters.com achieves this goal by providing content, web-based interactive learning applications and data-driven assessment and learning materials. We guide, interact, assess and intervene with children through mediums like chats, forums, voice notes and video conferencing, providing a personal one on one experience for each student. Education and learning are essential ingredients to becoming all that you can be. Our learning programs will help students advance through education learning concepts with steps building on each previous day's work. iLearnCenters.com plans will help students master each concept at their own pace, ensuring their core education covered. Each student or student groups personalized learning program will be designed to support their school work, giving them better preparation for homework completion and tests. Students have the opportunity to communicate with teachers and school community. Parents, guardians, and school officials engage with each students’ education. Faculty and staff work to design and implement programs and services that improve student achievement. Students are actively engaged in their academic coursework. Students are supported by faculty who are experts in their area and use a variety of instructional strategies. Students utilize tools designed to promote academic achievement. All students, parents, student advocates, faculty, and staff view their role as critical to attaining a common mission: empowering students to achieve their academic goals. 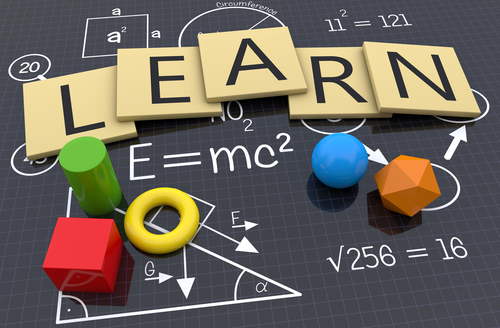 iLearnCenters tutors addresses all Common Core Standards in the area of Language Arts. Enjoy interactive chemistry experiments, physics games, biology lessons, and more. but struggles with homework our programs can help.